Businesses use CodeREADr as an asset tracking system to track their fixed assets and remote assets with our asset tracking app. Our customers deploy smartphones as barcode scanners with our asset tracking app to track their assets and people globally while managing the data in the cloud. Track unlimited assets and locations simultaneously. Businesses can authorize their employees, subcontractors and even customers to scan and track assets for them. They can track one location or thousands, one employee or thousands – simultaneously. CodeREADr has no problem tracking millions of assets or supporting thousands of asset tracking devices. 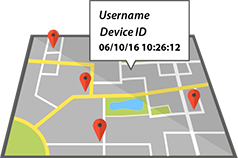 Capture GPS location, timestamp, device ID and user ID. Our customers want to know the who, what, when and where their people were scanning asset barcodes. Therefore, all meta data collected with the asset tracking app is stored in the cloud as a formal scan record. Track assets online in real time or track assets offline with automatic background synchronization. Using our online portal as an asset tracking system, our customers can watch in real time as their users scan assets. If their users internet connectivity is unstable, they can work offline until it is available again. 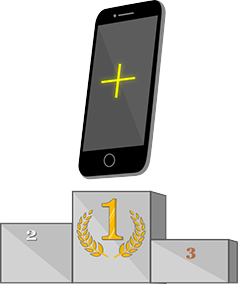 Collect data on-site with text/voice, drop-downs, photos and secondary scans. Good asset tracking software like CodeREADr will instruct the app user what to look for and have them enter asset-specific data after each scan. Our asset tracking app can even enable them to document issues with photo evidence using the device’s camera. Simple. Administrators simply create asset tracking services, authorize app-users and enable them to capture data anywhere, anytime with their mobile device. They can then monitor, filter and share scan records in the cloud. Photo capture, photo provisioning and visual verification. The asset tracking app can show users a picture of the asset after each scan. No picture available? Have them take one on-site to store in the cloud. 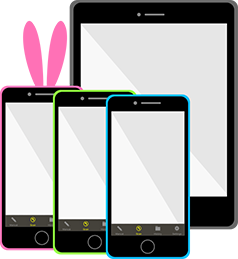 Employees, subcontractors and even customers can use their own smartphones and tablets. Our customers often avoid the capital expense and logistics to provision purpose built devices. Instead, employees are instructed to download the app and sign in with the credentials you provide them. Customize tasks and issue unique app credentials. Use our web service or API to create one task or hundreds of tasks, each with a specific objective in mind. 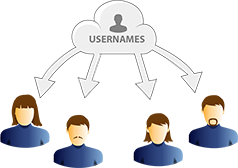 Assign those tasks to the right app users, including custom workflows, data collection prompts and associated databases. 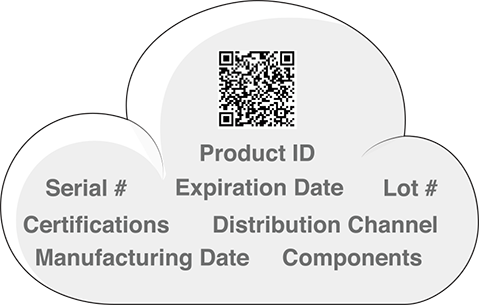 Use for asset tagging, tracking and audits – even product recalls. Businesses can build asset databases for their asset management software. They can track assets and update their status or audit their assets periodically. It is even possible to manage product recalls at the customer level. Need to manage your fleet, keys, tools and rental equipment? Scan it out and later scan it in while collecting asset status data at each checkpoint with our asset tracking system and app. Track and trace from build to all distribution points. Manufacturers and distributors use our asset tracking software to comply with track and trace regulations. Other times they use our asset tracking system to mitigate counterfeiting and product diversion. Their employees, vendors, customers, and consultants can scan product IDs, serial numbers on 1D or 2D barcodes and NFC tags to create records or check prior records. Proof of Presence, especially with NFC tags. Companies can obtain proof of presence by capturing the app user’s GPS location when scanning a barcode. 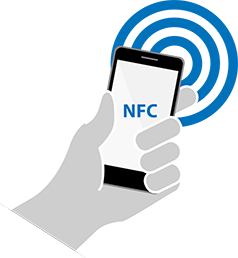 They can also capture the unique NFC tag identifier as proof of presence. The asset tracking app is a barcode scanner that can quickly scan 50+ barcode types with the built-in camera of a mobile device. It also supports barcode scanning accessories such as a bluetooth barcode scanner. Our customers can often scan the barcodes already on their products, fixed assets or pallets without needing to re-tag them. 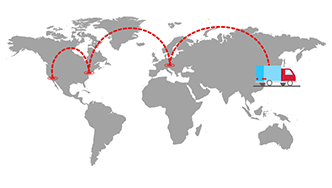 Integrate with third party databases and other asset tracking systems.  Our customers can send data to our server or to your existing asset management system. 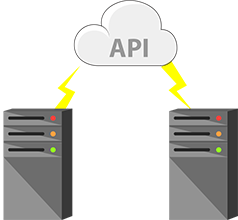 We can connect to third-party cloud services and asset tracking systems with our API. If integration is not possible, then download a CSV file from our web based system and import it to your existing system. Dual-function QR code are single, space-saving barcodes that both engage consumers and can track assets. Multi-function barcodes combine multiple barcode labels into a single 2D barcode to save space and improve accuracy since the app parses the correct information based on the task, not on which barcode is scanned. Use smartphones, tablets or barcode scanning accessories. While using a smartphone or tablets built in camera is the most cost effective implementation, sometimes ‘point and shoot’ scanning is necessary. 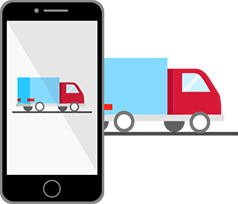 With our asset tracking app, our customers can scan barcodes with either their iOS or Android device’s built-in camera or use USB and Bluetooth scanners, scanning sleds or mobile computers. Learn more about different barcode scanning devices. White label option as your own asset tracking app. 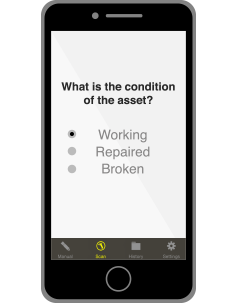 By default, our customers can freely add their logo to the asset tracking app. For additional branding opportunities, they can also white label the app with their own app store listings and app icons.